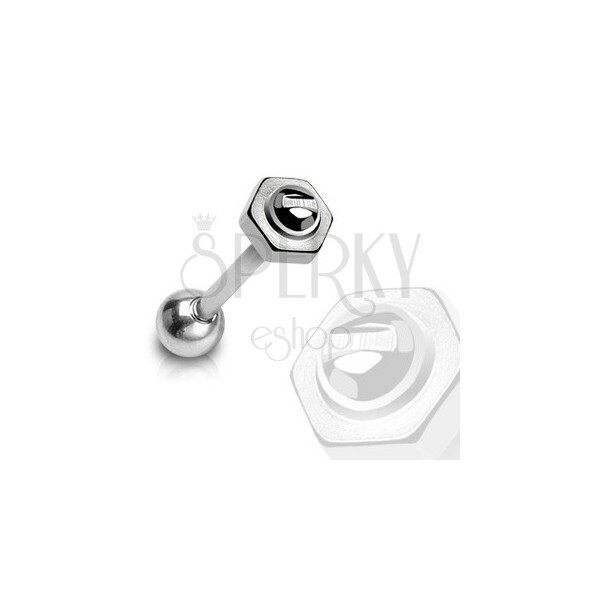 Piercing made of surgical steel in silver colour - screw and nut, bar ending in ball. 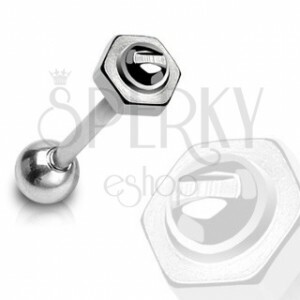 Steel tongue piercing represented by a barbell that ends in a screw with nut on one end and a shiny ball on the other end. The piercing has smooth shiny surface in silver colour.